Company: BioWare / Hasbro Inc. Experience one of the most popular role-playing adventures of our time, a journey that has thrilled millions. Inhabit dreamlike worlds of myth and mystery. Boundless lands of deadly creatures, foreboding omens and bold heroism. This game puts you at the center of an epic tale of faith, war and betrayal, all the while staying true to the pen-and-paper role-playing tradition. 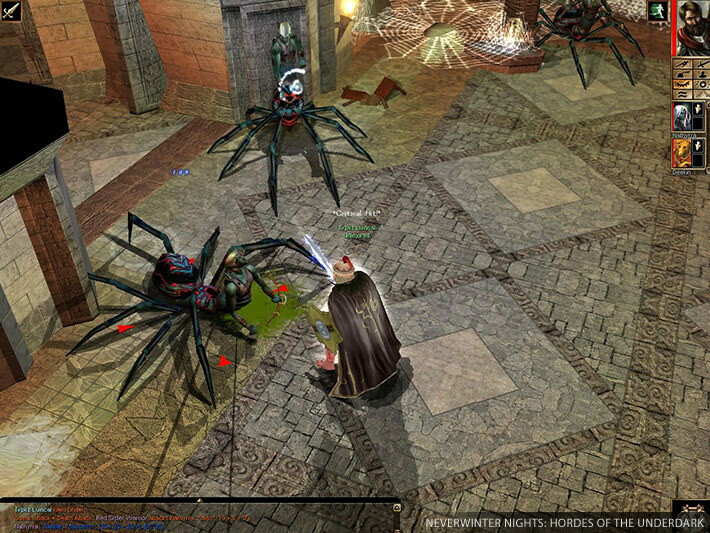 Neverwinter Nights – A world without limits! Multiplayer notice: In order to access the multiplayer you must first enter your unique cd-key. For details please follow this link. 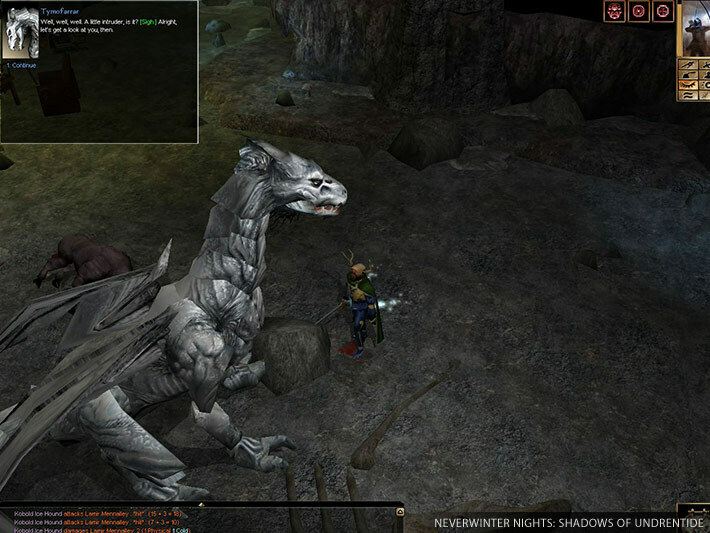 The Diamond Edition includes the original Neverwinter Nights and three official expansion packs: Shadows of Undrentide, Hordes of the Underdark and Kingmaker. A fast-paced RPG with an intuitive interface, suitable for new players and RPG veterans alike. A classic RPG experience that will keep you entertained for over one hundred hours! Windows XP or Windows Vista, 1 GHz Processor (1.4 GHz recommended), 256MB RAM (512 recommended), NVidia, ATI/AMD or Intel 3D graphics card compatible with DirectX 7 (compatible with DirectX 9 recommended), Mouse, Keyboard. installation works but when launched, always appcrash, i’m using windows 7, any suggest? Please advise. I’m looking to access multiplayer. Is it possible to change the language or would that require buying it from GoG? Not sure, we only tested english on this game. Most issues arise from the fact it tries to go into full screen, which also tends to break the torrent for some reason. Do as much configging as you can from those menues, so that it’ll be able to start the game without your screen having a spazz or having a reason to error out. Do keep in mind, this isn’t a 100% Fix, it just becomes like a 50/50, which is better then like a 95% chance of crashing if you’re one of the few (Like me) that it has issues with. anybody have problems with the download links please let us know. Did you download µTorrent Stable? How do i play the premium modules? Have you tried installing it? I have experiencing an issue with the torrent. 1) which torrent link is the correct one? 2) when i tried to download files through utorrent , it froze 3 times near the end. this is the first time i am experiencing something like that. Can you please check the integrity of the torrent file? 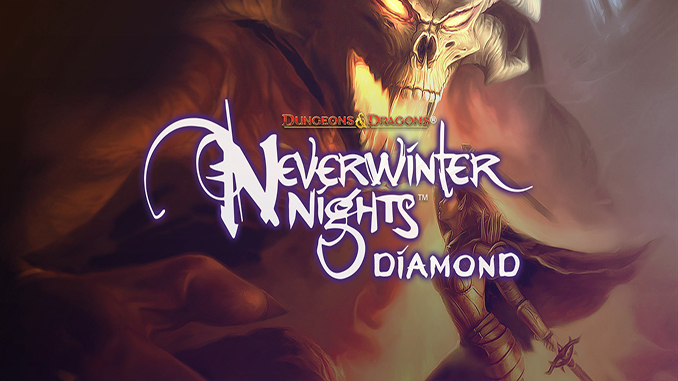 Not sure what the problem is we tested “Neverwinter Nights Diamond + Premium Modules (GOG) by TF” and it is still downloading if you use the other download link please use the Neverwinter Nights Diamond + Premium Modules (GOG) by TF instead. First of all cracking selection of games and do keep up the good work.